In order to have DSL service, you must first have a standard phone line from AT&T. The DSL service is installed onto this line. DSL service is distance-based and the speed of your DSL is largely determined by how far away your house is from AT&T’s Central Office (the “CO”). The CO is a building in your neighborhood that serves local phone lines. Inside the CO is DSL equipment that your DSL modem will need to communicate with. Your DSL modem comes in a “DSL kit” that your ISP provides. The kit contains a DSL modem, a phone cable, an Ethernet cable, and DSL filters and splitters. After the DSL is installed, you will connect your DSL modem to a wall jack that serves the phone number that the DSL is installed on, using a standard phone cable. If the DSL modem needs to share the wall jack with a telephone, then you will plug in a DSL splitter into the wall jack. The splitter has a two jack ports. One of the ports is not filtered and is labeled “DSL”. Plug the DSL modem’s phone cable into this port. The other port has a filter in it and is labeled “PHONE” or “LINE”. Plug the telephone’s phone cable into this port. This allows you to have telephone conversations on your phone line without the DSL signals interfering. If you have other devices that use the DSL line (even if they are in other rooms), such as other telephone handsets, a fax machine, a TiVo or gaming device that uses the phone line, each of them will need to plug into a DSL filter. If you need more filters than the ones provided for you in your DSL kit, ask us and we’ll give you extras. 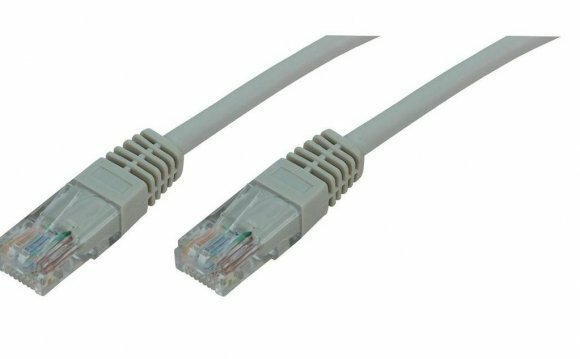 To see a picture of a DSL splitter and a DSL filter, click here.